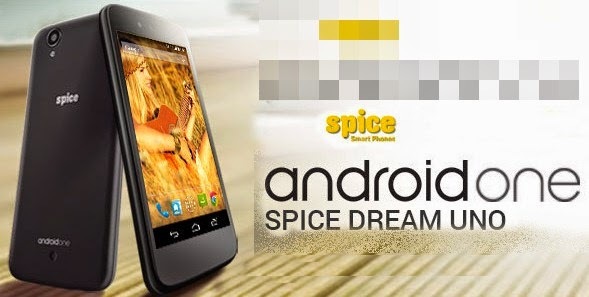 Spice Android One Dream UNO Mi-498 is the Android Kitkat smartphone launched exclusively on Flipkart online shopping as part of Google's Android One Project. Spice Android One Dream UNO Mi-498 comes with 4.5-inch IPS display and is powered by 1.3 GHz Quad Core processor along with 1GB RAM. It is loaded with latest Android Kitkat OS.